I colleague just benchmarked eVolve, the new Equalizer volume rendering example on a 16-node graphics cluster. You can see the performance graphs below (click on it for a large version). As soon as the database decomposition makes the slice rendered by each node small enough, we’ll see a nice jump of performance, to interactive levels. From there on it scales nicely to 16 nodes. 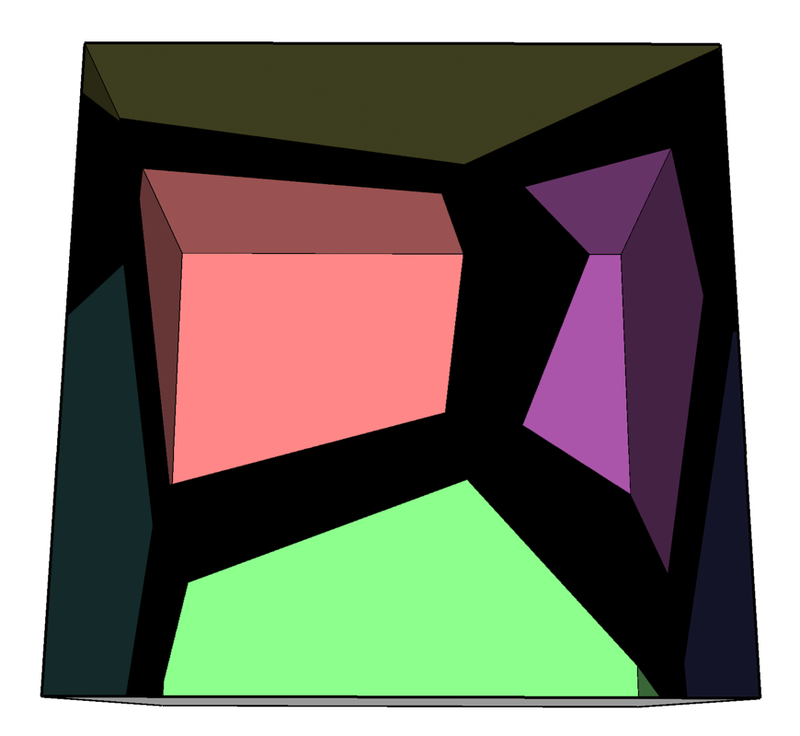 The 2D case is close enough to the linear scalability, given that it still needs to hold the full texture on all nodes. 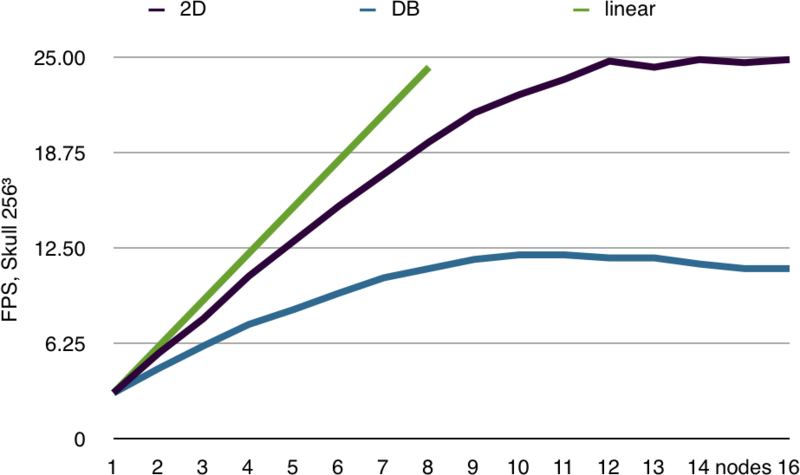 The second benchmark uses the same data set at a 256^3 resolution. Since this is 1/8 of the data, we don’t see any caching effects. Scalability is also nice until it hits the IO limits of the system, which is an acceptable 25 fps at 1280×1024. And this is not yet the limit, the test used IP-over-IB instead of the fast SDP-over-IB because the system was not set up for it. The 25 fps are reached with 12 nodes, adding more nodes does not improve performance. 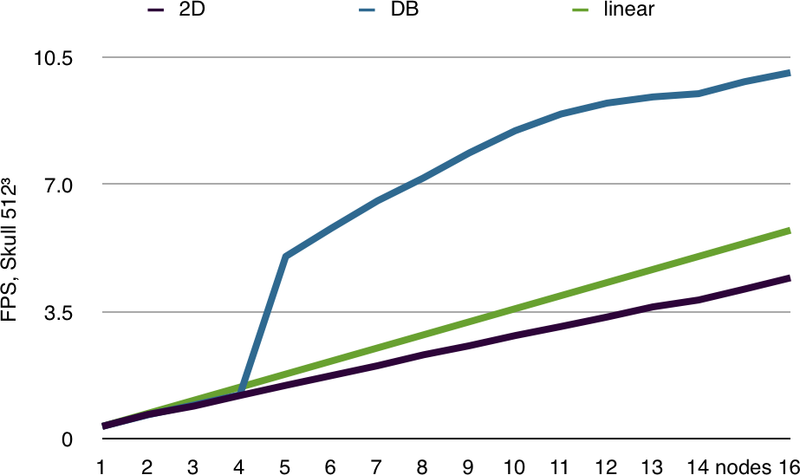 For database decomposition, the performance limit is 12.5 fps, since twice as much data has to be handled by each node (see the direct-send paper for details). This limit is reached at 10 nodes already. The other day I got my hand on a dual-GPU Mac Pro (ATI x1900, Quad-2.66 GHz, 10GB Ram) and quickly benchmarked two data sets with the new Equalizer polygonal renderer. It’s pretty amazing what happens when you try to visualize more data than you can fit on the GPU. Apparently the drivers don’t do a very good job of paging the data in and out of GPU memory. The first model I’ve benchmarked has 10 million triangles, rendered with Display Lists. On two cards there is a speedup of 2.3 (1.7->3.9 FPS) when dividing the work in screen-space, and a speedup of 3.77 (6.4 FPS) when dividing the database. 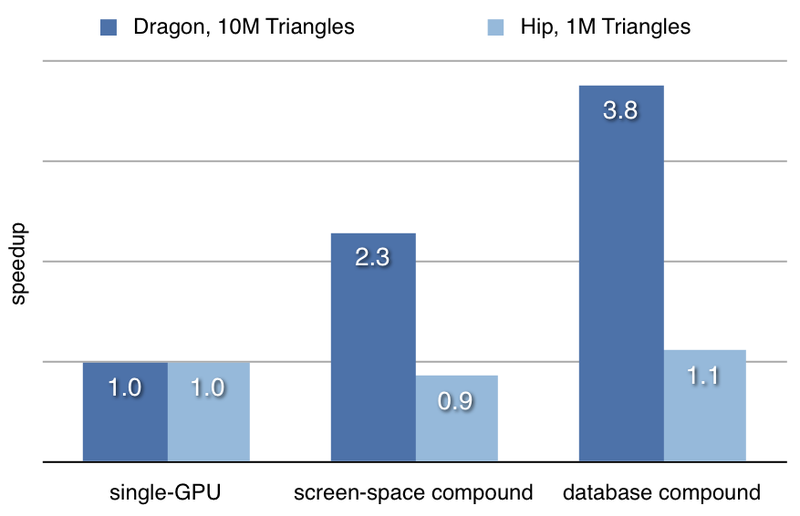 A small-ish data set of one million triangles showed, as expected, almost no scalability, running around 20 FPS. When I find the time, I’ll do extensive testing and will write a proper white paper on the pitfalls of using a multi-GPU Mac Pro. Things I’ll cover are multi-view rendering for display walls (single- and multi-threaded), more data sets and a baseline using PCIe x16 (For the test above, both cards did run at PCIe x8). I’ve just checked in a Hello, World! parallel rendering example to be released with Equalizer v0.4 . It’s pretty cool to be able to have a VR-ready and cluster-ready OpenGL application in 150 lines of code, from which half of it are “sophisticated” OpenGL calls to draw six colored quads around the viewer. You can get the (compressed) SketchUP file here.